We strive to provide you exceptional quality and service for all of your metal roofing and siding needs. We are artists ourselves and enjoy planning and designing projects with you. Don't know anything about metal? No problem. We listen, educate and offer ideas so you can understand what your options are and make the best choice for you and your home. Bridger Steel opened its doors in Bozeman, MT in 1996 when owner, Dennis Johnson, realized farmers, ranchers and homeowners needed better access to high quality metal panels in the American West. Through hard work, ingenuity and a distaste for the word “No”, Dennis helped his customers find new uses for metal in residential, agricultural, and commercial markets and pushed for new styles, better paint systems, and higher quality materials. Today, we purchase steel from American producers and work with American based paint and accessory companies to ensure the panels we manufacture are consistent and high quality. We collaborate with those companies to develop new colors and styles to meet the needs and ideas of our customers. 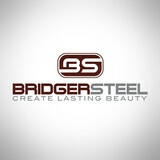 Bridger Steel offers one of the largest selections of colors, panel profiles, and prints of any manufacturer on in the market. Now, with seven stores in five states and the ability to ship products across the country, we’ve helped hundreds of architects, builders, homeowners, farmers and ranchers create strong and durable projects that look beautiful and stand up to the elements. We believe the sky is the limit. If you can imagine it we’ll find a way to help your vision become a reality. We are a family owned locally operated roofing company serving Bozeman, Montana since 2004. 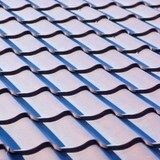 Specializing in modern residential and commercial roofing. We have a reputation of staying up-to-date in the ever-changing roofing industry from single ply flat roof membranes to green roofs. We pride ourselves in our attention to detail and honesty. From start to finish you will experience our motto "Old School Work Ethic, New School Methods and Products". It can mean long hours on a cold roof or finding out what “sweat equity” really means. While being a Bozeman roofing contractor certainly isn’t for everyone, it is my craft. It is a craft that I’ve honed over the years and take immense pride in. The best local roofer in the valley. We have references and experience. 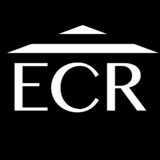 Having been in the construction industry for more than 30 years, Everson Architectural Sheet Metal and Design is a small but very reliable roofing contractor. We have grown with changes in roofing technology, application and home design. It is our solid commitment to the industry and our customers that allows us to keep doing what we love and be one of the most trusted in the business. It is important for you to know all our workers are experienced and held to the highest work standard. Our reputation is built on doing superior work. The bottom line is you depend on your roof to keep your home secure and depend on us to ensure your roof is in excellent condition. Our team at Harmon Enterprises Construction, Inc. has a collective wealth of experience in the construction trade. We have the talent and the dedication to give your project the individual attention that it deserves. We strive to complete your project quickly and efficiently while staying within your budget. Tyler Harmon is the President of Harmon Enterprises Construction, Inc. He is a native of the Gallatin Valley in Montana. Before starting his own company he was employed by both large and small builders in many different areas of construction. His work experience is both diverse and hands-on. His attention to detail is a rare and appreciated attribute. Rachael Harmon is Vice President of the company. She has a degree in Graphic Design from Montana State University and comes from a family where she is proud to carry on the fourth generation of carpentry. Although she would rather be spending her time on the jobsite with a hammer in her hand, she will likely be the one who answers when you call the office. Tyler and his crew at Harmon Enterprises are experienced in conducting public relations to accomplish their goals. Working with inspectors, supervisors, subcontractors, and homeowners to coordinate and maintain an effective work environment is a key component of all construction projects, large and small. Harmon Enterprises Construction, Inc. also knows how important it is to coordinate materials for all aspects of your project. We calculate quantities of materials and schedule deliveries to the job site to ensure that productivity and efficiency are maximized. You can trust Tyler and his crew to get your job done on time, within your budget guidelines and to your specifications. Quality Roofing & Sheet Metal Inc.
Three Generation Roofing Company that has served Montana for over 40 years. Roofs and gutters are two home elements that, when they do their job, go unnoticed. But when they malfunction, they make their presence known in a hurry — that’s where knowing a good Bozeman roofer comes in handy. Hire the right roofing company in Bozeman, MT to install, repair and maintain your roof and gutters, and you’ll ensure that these essentials perform at their peak. What do roofing companies in Bozeman, MT do? Your Bozeman, MT roofing contractor can install a new roof or repair an old one, as well as repair and replace gutters. Good roofers in Bozeman, MT should be able to promptly inspect roofs and gutters to assess damage after a natural disaster or other event, and give you an estimate for the necessary roof repair immediately. Some Bozeman roofing companies specialize in specific types of roofs, such as tile or metal, so make sure the one you are interested in works with the materials you have or desire. Find a Bozeman roofer on Houzz. Narrow your search in the Professionals section of the website to roofing companies in Bozeman, MT. If you’re planning a large-scale project, find other professionals on Houzz who can help get the job done. Here are some related professionals and vendors to complement the work of roofing & gutters: General Contractors, Specialty Contractors, Siding & Exteriors, Door Sales & Installation, Garage Door Sales & Installation.